Understanding the foreclosure process in Massachusetts is a crucial part of navigating your home foreclosure. 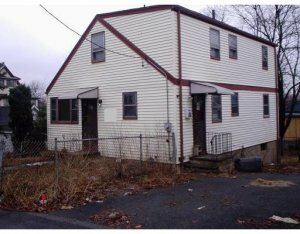 How does foreclosure work in Massachusetts on a house like this one? Foreclosure is the legal process that lenders use to take back property securing a loan, which happens after the borrower stops making payments. The bank made you a loan with the understanding that if you didn’t pay them back, they could take control of your asset and sell it to make their money back. That’s what they are doing when they take your house and sell it at auction. Foreclosure is obviously no fun. Remember that it’s not the end of the world and that there are ways to make it a better process. When you know how foreclosure in Massachusetts works it arms you with the knowledge to navigate the process and come out in the best situation possible at the end. There are a few stages that are important to any foreclosure process. It is important to note that foreclosure works differently in different states around the country. The two ways different states use to foreclose upon a property are judicial sale or power of sale (also called non-judicial foreclosure). Connect with us to have us walk you through the specific foreclosure process here locally in Eastern Massachusetts. In either scenario, the banks don’t begin the foreclosure process until 3-6 months of missed payments have occurred. Usually (but not always), a lender will send out many notices that you are overdue or behind on your payments. The mortgage lender must file a lawsuit in the court system (why it’s called “judicial”). You get a letter from the court demanding you to pay your loan payments. Assuming the loan is valid, you’ll be given 30 days to bring payment to court to avoid foreclosure (and sometimes that can be extended by working with the bank – always be proactive). If you can’t make up the payments during the payment period, the court will make a judgment so the lender can request the sale of your property – usually through a public auction. This essentially is the lender filing a legal request for the right to sell the property. There is usually another 3-6 month gap before the auction date happens – in some states to auction will happen at the courthouse, but in MA it happens at the property itself. 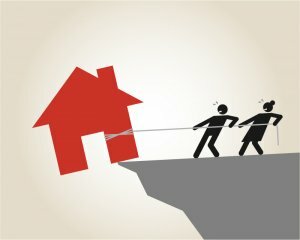 After the house sells at auction, the eviction process begins and the sheriff forces you to vacate the property because you no longer own it. You get served – the mortgage lender serves you papers demanding payment, and no court date is required, although the process may be subject to a judicial review (in MA this is necessary to determine if the property owner is active duty military and thus subject to a different process). After the established waiting period (during which you need to bring the payment current) has elapsed, a deed of trust is drawn up and control of your property is transferred to a trustee. No lawsuits need to be filed for the bank to take control of your property. It takes about 3 months for your property to be transferred to a trustee after the bank begins notifying you of nonpayment. This can be delayed, however, if the borrower declares bankruptcy, seeks an extension, seeks a sale, or sues the lender in court. Some homeowners employ all of these tactics to try to stay in their house longer – this is why you hear about foreclosures that drag on for a very very long time (we don’t recommend this – we recommend selling and avoiding this rather public display of resistance). The trustee can then sell your property to the lender at a public auction (notice is given to the public – which is why you may see auction notices in the newspaper or around town). If no party pays enough for the property at auction, it will become an REO property – owned by the bank. Anyone who has an interest (or is a stakeholder – i.e. cosigner, lender, lienholder, etc.) in the property must be notified during either type of foreclosure. For example, any contractors or banks with liens against a foreclosed property are entitled to collect from the proceedings of an auction. This can happen if there is enough profit to pay off the first position loan (the original bank loan) plus some leftover for the secondary or tertiary loans against the property (these would be the liens). If you are facing foreclosure in Massachusetts, the foreclosure process will very likely be non-judicial. As long as the original mortgage has a power of sale clause (most if not all mortgages in MA have this), the property can go through non-judicial foreclosure if they follow the steps outlined by law. What Happens After A Foreclosure Auction in Massachusetts? It is important to note that at the first auction of a foreclosed property a private buyer or the bank will end up with the property. If the “reserve” (or price the bank wants to sell it for) is not met, it goes back to the bank – if the reserve is exceeded the property goes to the winning party. If the property has gone back to the bank, they then hold subsequent auctions in which they try to reach the reserve price. Eventually, the property is sold to a private party when the reserve is met (the reserve is usually lowered over time, as the bank just wants to get rid of the house). After a foreclosure is complete, and the property sells, the loan is paid off with the sale proceeds and the bank is happy. Sometimes, if the property won’t sell and the bank has to lower the price to get it off their hands, it results in the sale price of the property not being sufficient to pay off the loan. In this instance, what is called a deficiency judgment can be issued against the borrower. This is a process of its own that the bank must go through while adhering to certain rules – just like the foreclosure. If the bank did not notify you 21 or more days before the foreclosure sale that they intended to issue a deficiency judgment, they cannot legally seek one against you. A deficiency judgment is where the bank gets a judgment (legal action) against you, the borrower, for the remaining loan balance unpaid by the foreclosure sale. In Massachusetts, lenders can seek a deficiency judgment for the whole difference between the sale price and balance of the loan. They must seek this judgment within 2 years of the sale of the property, and can continue trying to collect it for 20 years. This is another layer of complexity and hassle, for both you and the bank. It is not something that happens with every foreclosure, and because it is a hassle banks often won’t seek a judgment for a tiny amount of money. Here’s a resource that lists the state by state deficiency judgment laws, since every state is different. There are many other resources out there on the net to look at as well. In most cases, it’s best to avoid a foreclosure auction. You will be put through less hassle and it will have less of an impact on your credit score if you sell before it gets to that point. Instead, call up the bank, or work with a reputable real estate firm like our company to help you negotiate a quick cash sale to avoid having a foreclosure in Massachusetts. We can help you by negotiating directly with banks (or other lienholders) to try to lower the amount you owe in a sale – or even eliminate it – even if your home is worth less than you owe. If you need to sell a property fast in Eastern Massachusetts, we can help you. 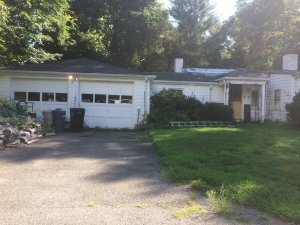 We buy houses in Beverly, Gloucester, Danvers, and anywhere else in Essex County from people who are going through foreclosure and need to sell fast. We can help you understand the foreclosure process in Massachusetts, and hopefully, buy your house and create a win-win scenario for both sides!